Union Minister Piyush Goyal on Saturday said that the central government plans to introduce electric vehicles (EVs) on a mass scale within the next three years.The Minister of State (Independent Charge) Power, Coal, New and Renewable Energy, and Mines was speaking at the 2017 annual session of the Confederation of Indian Industry (CII) here. According to the minister, the move will support the central government's efforts to phase out petrol and diesel cars by 2030. Goyal elaborated that for mass introduction of EVs, the central government will build charging infrastructure and start battery swapping programmes.On the central government's UDAY scheme, the minister pointed out that it is "not only about financial re-engineering of discoms but also inculcating financial discipline". The scheme he explained will work by capping lending to inefficient discoms. The minister asserted that the scheme has "zero financial implications" on the central government with "no subsidies or write-offs to discoms". Speaking at the session on 'Changing Energy Economics and India', Goyal stated that 100 GW (giga watts) of "stranded and stressed assets" have been revived through policy reforms and resource mobilisation. 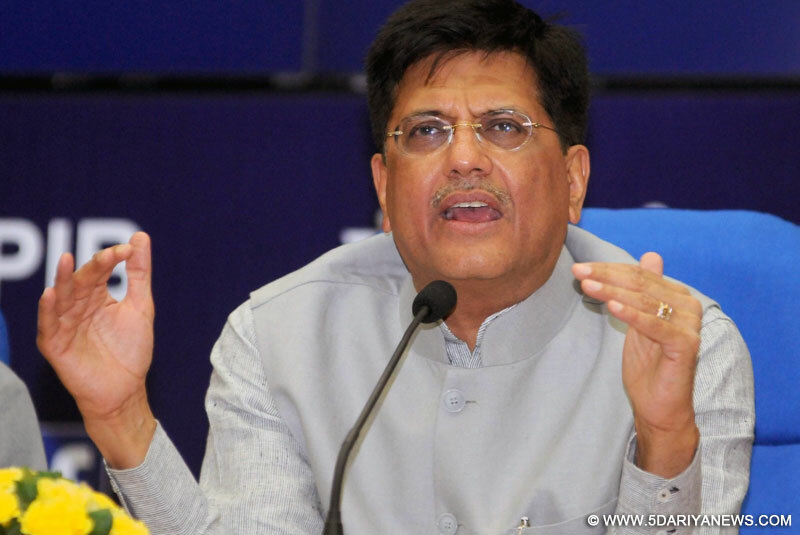 The minister disclosed that electric power demand in the country has increased by 6.5 per cent during the last fiscal, even as "India became power surplus for the first time".Goyal revealed that India has seen a 370 per cent growth in renewable-based generation capacity in the past three years. The minister added that well-organised and transparent competitive bidding processes have driven tariffs for solar and wind below Rs 3 per unit and that the central government's aim is to ensure electric power is supplied at Rs 3 per unit irrespective of source in the medium term.